Communication Sumer Camp (COM Camp) is a fully authorized, Pre-College Program of North Carolina State University designed for rising junior and senior high school students interested in learning about television production and presentational speaking. 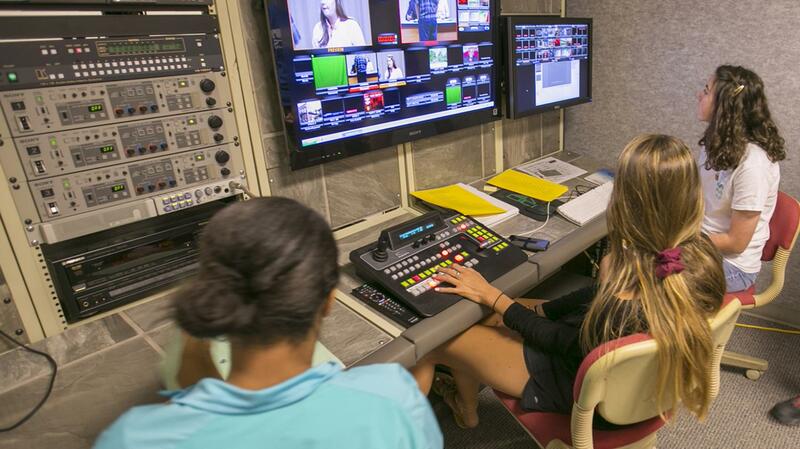 Department of Communication faculty with years of real-world broadcasting experience provide personalized training. This week-long day camp is held in a television studio on the NC State campus. Each day campers get hands-on experience in a broadcast-quality environment. If you want to send registration docs to put your child on the wait list, you may. No check is necessary unless we contact you about enrolling your child. Camp registration enrollment is limited to 14 campers. The official registration period opens MARCH 15th and remains open until all seats are filled. A wait list will be created after 14 students have registered. Campers get hands-on experience in a broadcast-quality environment. Com Camp is fast-paced, dynamic, interactive, and fun! When the studio lights switched on in the Butler Communication Building television studio on July 6, they lit more than just sets. They helped fire the imaginations, and enlighten the educational goals, of ten high school students participating in the first ever Communication Summer Camp.